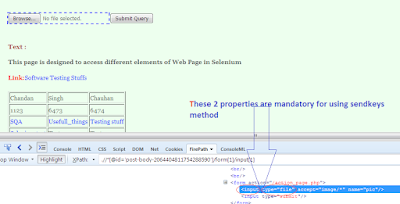 Hello Friends, In this tutorial we will learn how to perform upload operation in selenium. 1). 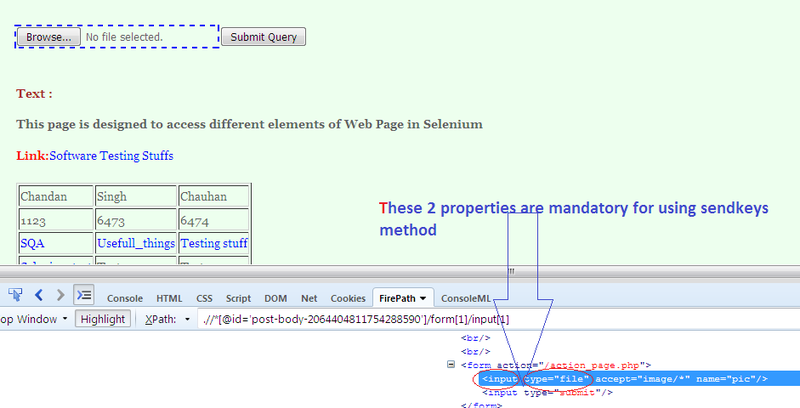 First by SendKeys() method. 2). Second by using the robot class. Now we just need to locate the element and just use the method sendKeys() and in sendKeys() method we will pass the path of that file. //Remember element should be input and type should be "file"
What is Robot class ? "Basically robot class will simulate the Keyboard and mouse actions." 1). First Copy the file path.